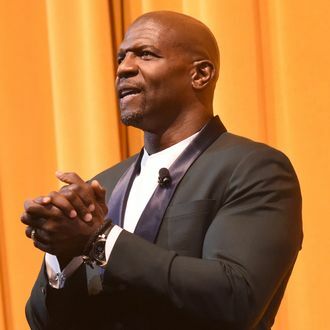 After hearing multiple women in Hollywood share stories of sexual abuse by Harvey Weinstein, actor Terry Crews was moved to go public with his own tale of sexual assault from a powerful Hollywood figure. In a series of tweets Tuesday afternoon, Crews revealed that he was groped by an unnamed male executive at an industry party last year. Crews says he almost lashed out at the man, but stopped himself once he realized how it would be portrayed: “240 lbs. Black Man stomps out Hollywood Honcho.” After telling the man’s co-workers about what happened, he received an apology the next day; he let it go after that, out of fear of being ostracized in the industry. Now, Crews says he can empathize with what Weinstein’s alleged victims, as well as many others, went through: “Hollywood is not the only business where this happens, and to the casualties of this behavior — you are not alone.” You can read the full string of tweets below.